What is the origin of the Picardy Spaniel? The Picardy Spaniel is a native of the French province of the same name. Almost lost at the end of the 19th century, committed breeders have brought the Picardy back. What does the Picardy Spaniel look like? The Picardy is 22-24 inches tall and weighs about 44-55 lbs. The head is round and broad with a brown nose. Eyes are dark amber. Ears are low-set, pendant and covered with wavy, silky hair. The tail is well-feathered. The coat is dense and slightly wavy. 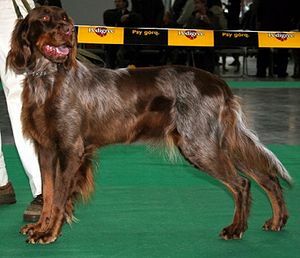 Color is speckled gray with chestnut markings. Grooming is regular brushing. What is the temperament of the Picardy Spaniel? 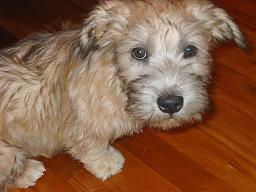 The Picardy is a cheerful, intelligent dog. Eager to please, they train quickly using positive methods. The Picardy is calm and docile in the home and bonds very closely with its family preferring to live inside with the family. They are not suited to apartment living as they are very active dogs. 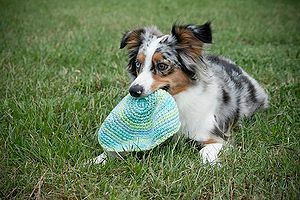 The Picardy should have an owner willing to give it vigorous daily exercise. What is the the Picardy Spaniel used for? 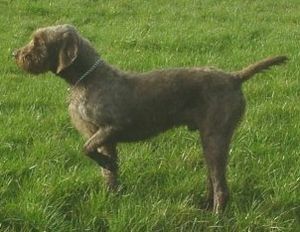 The Picardy is a pointer with a keen sense of smell and is used for hunting hare and duck over any type of terrain regardless of weather conditions. Picardys are loyal, devoted family companions.